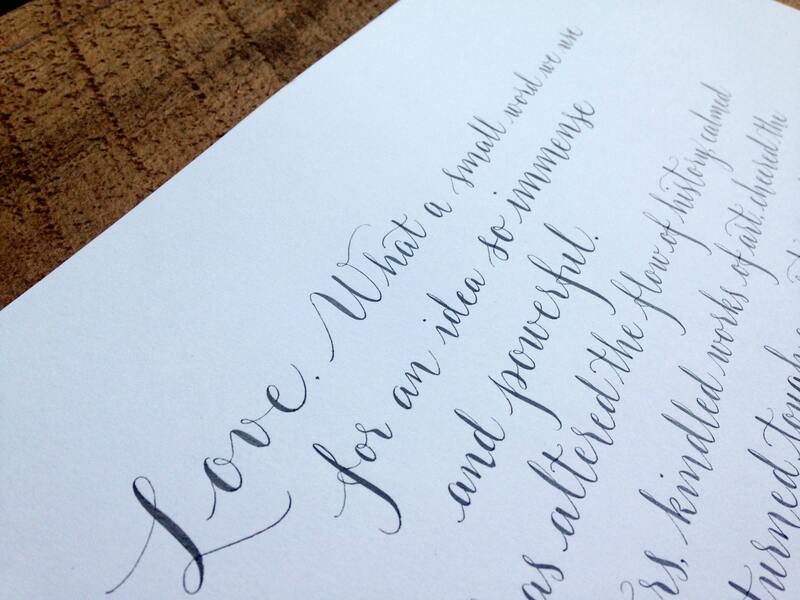 Have your favourite poem handwritten in beautiful calligraphy so you can frame it and display it in your home. 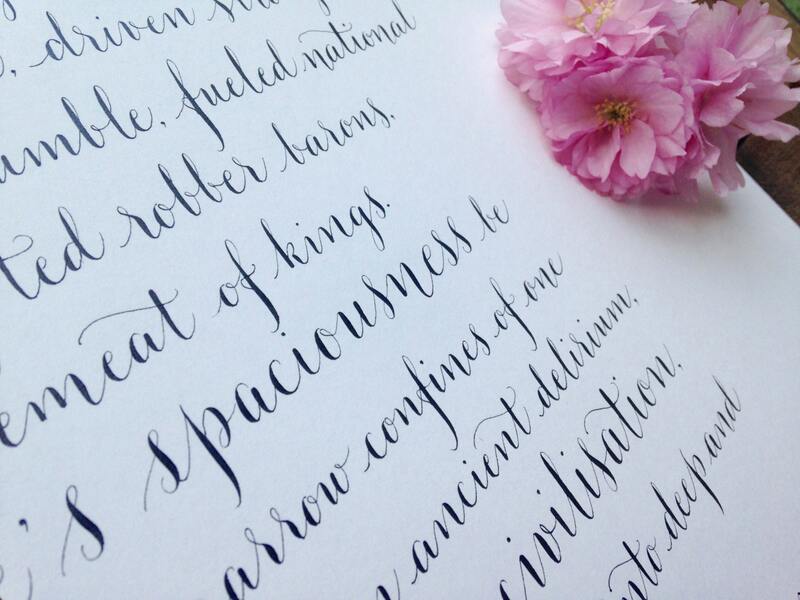 Modern calligraphy will transform the words you love into a piece of art you can enjoy every day. Every word of your calligraphy commission is handwritten with a traditional dip pen and nib, and with a permanent, non-fading ink. 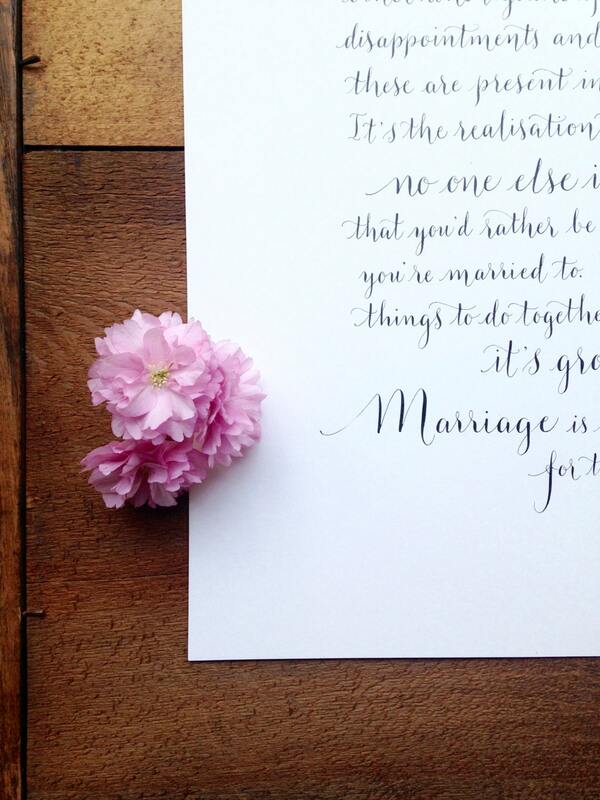 Paper is acid free and archival quality, which means your calligraphy poem will last and become a family heirloom... and poems are priced by the word so you can include a personal dedication, a date or your names. 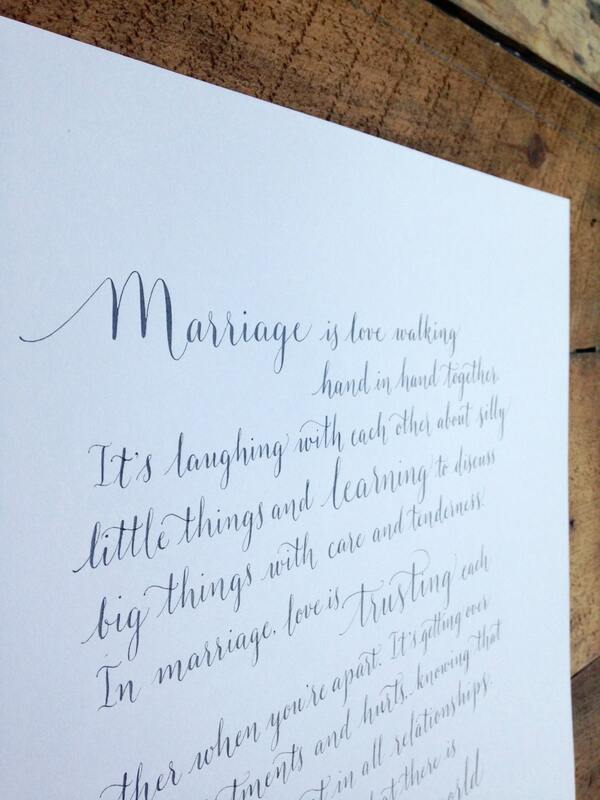 Wedding readings are a popular gift when written in calligraphy. 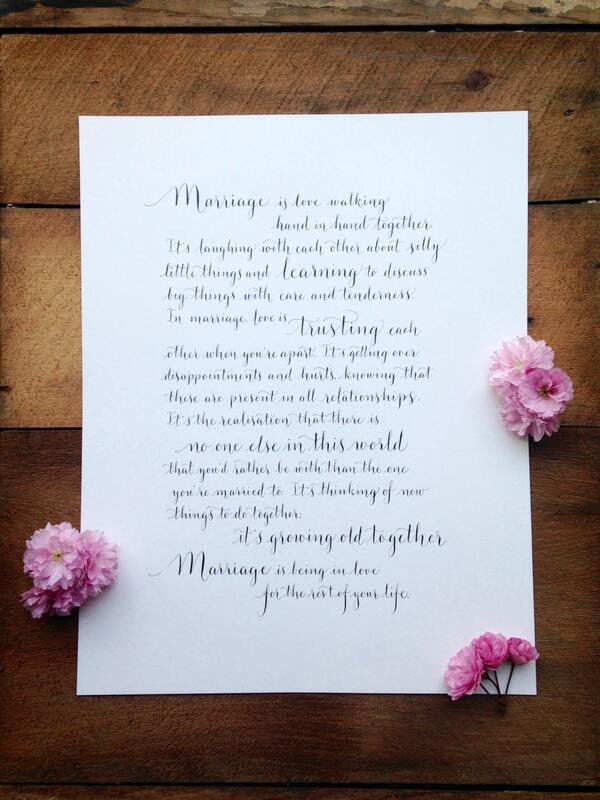 This modern style is perfect for romantic words, and makes a gorgeous wedding day gift. It's also a lovely idea for your paper wedding anniversary (which is your first or second, depending if you're in the US or the UK). To order simply count the words of your poem (and dedication) and select the price bracket for your poem. Send the words in a convo to me when you order. Please allow 14 days before despatch - or if you need your poem sooner please ask about availability. Your poem will be handwritten onto A2 paper and trimmed to allow a margin for framing. The finished size depends on your word count and the layout (verses, line length) of your poem, and will be between A2 and A3 sizes.